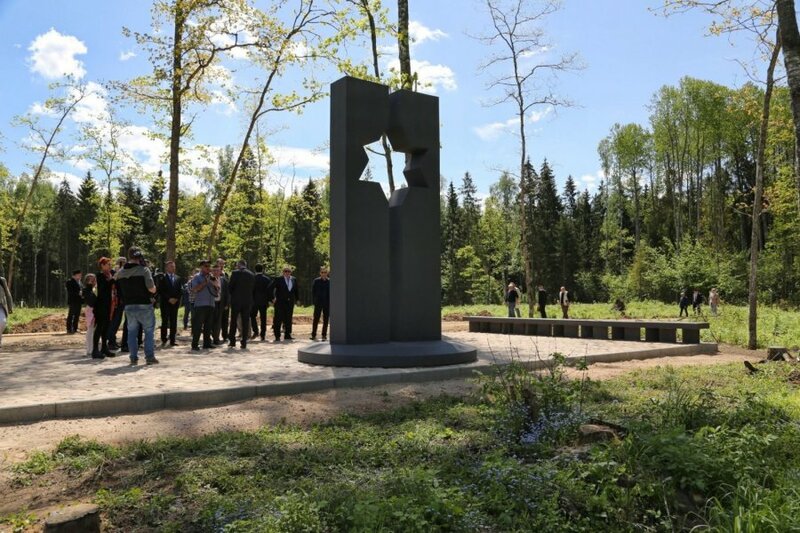 The Lithuanian town of Šeduva, Radviliškis District, unveiled a monument to all the Jewish residents who used to live in the town, BNS reports. "Šeduva should be proud of the long history of its Jewish community that dates back to the fifteenth century. 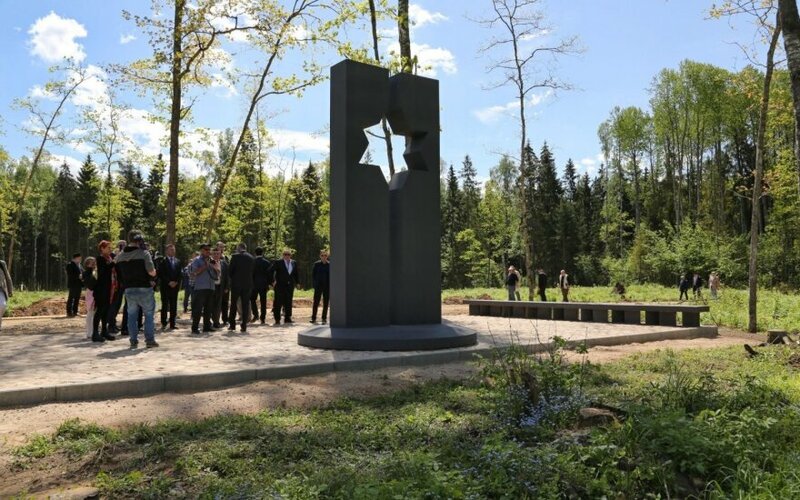 Jews lived here, created, traded, the Jewish community of Šeduva has always put great emphasis on culture and active social life," said Lithuanian Prime Minister Algirdas Butkevičius during the unveiling ceremony. He added that the Šeduva monument would inspire other towns and villages in the country to memorialise different ethnicities that used to and still do live in Lithuania. The monument in Šeduva is an initiative of the Jewish Memorial Fund of Šeduva. Prior to World War two, Jews made up almost two thirds of the town's 3,000-big population. The community was all but wiped out during the Holocaust. Read a speech delivered by Sergėjus Kanovičius at the official opening ceremony of Šeduva Jewish Memorial Fund Project "Lost Shtetl"
I would like to thank you all who have come here today to the launch of the unique initiative perpetuating memory. Unfortunately, we are already used to remember our neighbours and fellow citizens Jews mostly on some quite unhappy anniversaries, most often when we mark an anniversary of a massacre of Jews. We are only halfway through this initiative. For the word to become flesh, next to the old Jewish cemetery in Šeduva, the Museum of the Lost Shtetl will appear to tell Lithuania and the world not only the end of the Jewish story in Šeduva, but also its origins. The Museum will perpetuate what we often call today as the culture of small Litvak towns — shtetls. Lithuania is littered with places of death of Jews because seventy years ago the country turned into one great, though duly unmarked, burial ground of Lithuanian Jews. Paradoxically though it may seem, principally only these places prove that Jews had once lived here. The Museum, however, will tell us not only the story of our ancestors’ death, but also the story of their life. Possibly then will we realise what we have lost. No anniversaries are marked today. Today we –– patrons, Šeduva Jewish Memorial Fund, municipal and neighbourhood authorities, builders and architects, lawyers and sculptors –– present you the result of our three-year work. Almost three years ago, we found here a Jewish cemetery with thistles thriving for seven decades and mossy, disintegrating tombstones typically erected by the Soviets in the places of mass murder of Jews. For three years, we have been fighting against oblivion and for reviving memory. Therefore, I urge the Head of the Government, local authorities, and the people in Šeduva and Lithuania to keep the memory about us and our ancestors. Memory cannot last if it is stirred up only when flags with black ribbons are hoisted or taken down and when microphones are switched on. Memory, like national borders, must be closely and permanently guarded. Memory is alive when it is rekindled every day. Otherwise, it, like an uncultivated field, turns into a thistle jungle that, like a poorly protected national border, lets oblivion exempting from any responsibility creep in. This occasion is more than fitting to quote what my Father once wrote – memory is stronger than death because death triumphs only for a moment, while memory is eternal. We, Lithuanians and Jews, have always been neighbours. When we did not have our state, when we were herded from those countries that had become our Homeland in time, when we were subjected to killings, we, Jews, always remembered where we came from, where our ancestors lived and where their graves rested. The state that is called memory cannot be taken away from us despite the keenest wishes. I dare say that we are not only the people of the Book, but also the people of memory. Even if no single Jew is left in Šeduva and Lithuanian towns, we remain neighbours –– laid to rest in cemeteries, buried in pits, and plastered behind the walls of our former homes. We are eternal neighbours — the Lithuanian land took in my ancestors and this land belongs to you. You are the masters of this land and of the memory resting in it. Let us not forget the past. Let us not forget what went well in order to remember how to be good to a neighbour. Let us not forget what went wrong in order to remember what should not be done. Only such memory –– both bright and painful –– will not allow us to forget each other. Only the memory, though possibly belatedly, will teach us not only mutual respect but also love for both our close ones and our distant ones. If we could not be brothers in life, let not build barriers that would prevent us from being and living as brothers in our memory. The schoolchildren from Vilnius Sholom Aleichem Gymnasium and Šeduva Gymnasium take part in this event. Dear pupils, it will be you on whom the state of our memory will depend. Your presence here brings hope that in the forthcoming 70 years we will live as brothers. In our memory and life. Today and tomorrow.